/ Modified mar 21, 2018 12:35 p.m.
High speed drones will race in and around the Biosphere 2 facility Saturday. Robots, drones, and self-driving cars will be the stars of a special event at Biosphere 2 on Saturday. 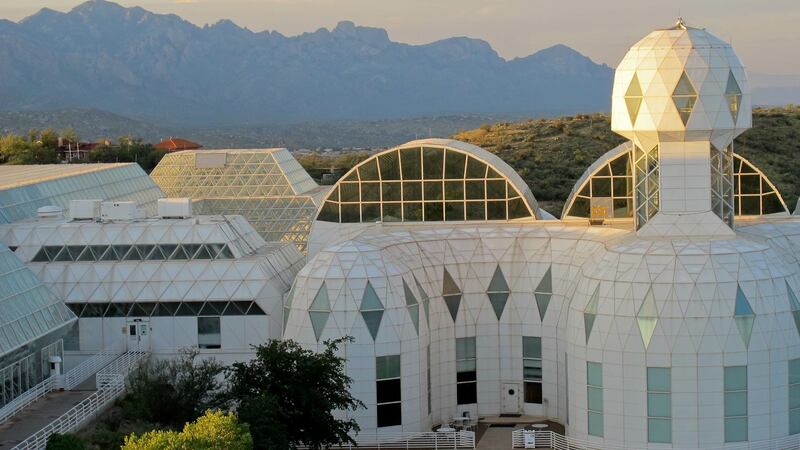 The science facility north of Tucson will host an all-day exhibition highlighting the "Fourth Industrial Revolution," described by scientists as the combination of people and technology. One exhibition planned is a drone racing competition in which pilots will fly drones along a path that takes them to and through the Biosphere tower facility. Deputy Director John Adams said the drone racers will face a tough challenge. "We've set up a course that will take them inside our desert area, over our mangrove and oceans, and back out through the lower savannah and out and around Biosphere 2," Adams said. "So, they will traverse both the interior and exterior of the facility." The all-day event will also feature STEM education exhibits and a view of the Biosphere's 30-year history of exploring earth science.